Benjamin Zand investigates the African migrant trade and reveals the extraordinary scale of people-smuggling across sub-Saharan Africa. Panorama investigates the African migrant trade and reveals the extraordinary scale of people-smuggling across sub-Saharan Africa - a multibillion-pound industry described by some as a new 'slave trade'. 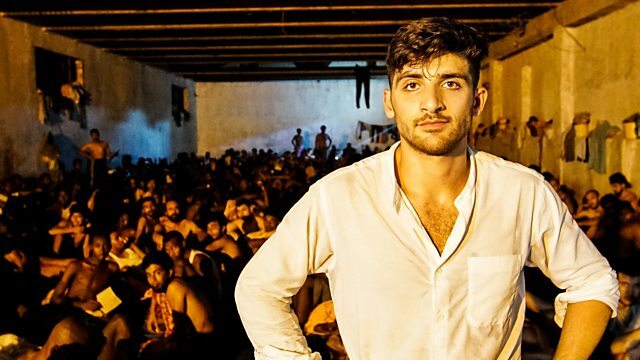 As the EU desperately tries to cut the number of migrants crossing the Mediterranean, reporter Benjamin Zand investigates how hundreds of millions of euros of EU funding is being spent and asks if EU efforts to tackle the smugglers could be leaving some migrants in an ever more dangerous limbo. He reveals how hard it will be to stop the trade, which employs millions of people in some of the world's poorest countries. Ben traces the smuggling route from the shores of Libya, the gateway to Europe and one of the most brutal places on the migrant trail, back through the ghettos in the deserts of Niger, where the local economy is dependent upon human trafficking.